The use of preference-based measures (PBMs) of health-related quality of life (HRQoL) is increasing in health care resource allocation decisions. Whilst there are measures widely used for this purpose in adults, research in the paediatric field is more limited. This paper reports on how the descriptive system for a new paediatric generic PBM of HRQoL was developed from dimensions identified in previous research. Existing scales from the paediatric literature were reviewed for suitability, and scales were also developed empirically, based on qualitative interview data from children, by taking adverbial phrases and confirming the ordinality by a ranking exercise with children. The resulting scales were applied to the dimensions from the previous research. No suitable scales were found in the paediatric literature, so the empirically derived scales were used resulting in seven different types. Children were successfully able to rank these to determine the ordinality, and these types were applied to the dimensions. 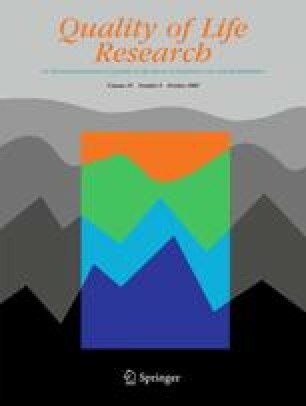 This work has empirically developed a descriptive system for the dimensions of HRQoL identified in previous research. Further research is needed to test the descriptive system on a paediatric population and reduce the number of dimensions to be amenable to health state valuation. This research was funded as part of an MRC Special Training Fellowship in Health Services and Health of the Public Research. Thanks go to The Children and Young People’s Directorate at Sheffield City Council, the staff of Firs Hill Community Primary School and Hunters Bar Junior School, to the parents who gave their consent, to the staff at the schools and to all the children who took part in the research. Stevens, K. J. (2008). Working with children to develop dimensions for a preference based generic paediatric health related quality of life measure. Health Economics and Decision Science Discussion Paper 08/04. Available from http://www.shef.ac.uk/scharr/sections/heds/discussion.html Accessed 14/08/2008. Health Utilities Index. http://healthutilities.biz/ Accessed 14/07/2008. MAPI research trust. Patient-Reported Outcome and Quality of Life Instruments Database. Available from: www.proqolid.org Accessed 13/04/2006.